50% Corvina / 20% Rondinella, 25% Molinara / 5% indigenous varietals. Deep ruby in color. The nose is nice with cherries and baking spice. On the palate, this has deep cherry fruit. Good acidity. Slight tannins. 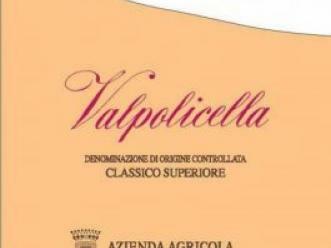 This wine is correct and everything expected for a nice Valpolicella including the price - $18. Will work with medium and heartier foods and if needed, on its own too.